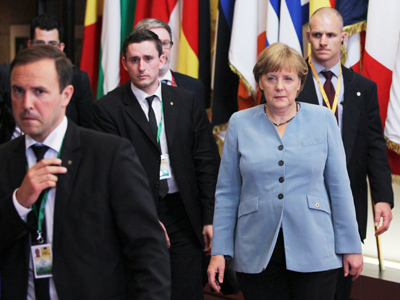 The fear that - fed up with their artificially-created sovereign debt crisis - Greece might abandon the euro sends chills up many a Global Power Master’s spine. So what are the pros and cons of that option to the Greeks? Let’s begin by asking whether or not a sovereign country should have its own currency at all. When the British, Spanish and Portuguese colonies of the 19th century America fought for independence from their respective Mother Countries, a key conflict was that London, Madrid and Lisbon not only insisted on controlling colonial trade, but also wouldn’t allow their colonies to coin their own money. So, yes, a tell-tale sign of a colony is when you cannot / will not issue your own currency to run public finances to serve the Common Good. Does that mean then that European Union countries are colonies? If so, of whom? First pause: 21st-century colonialism is far less “territorial” than its 19th-century counterpart. It’s no longer a question of New York, Massachusetts or Pennsylvania having to heed King George’s orders from London, or Buenos Aires, Lima and Santiago having to obey the Spanish Court. Geography is, shall we say, “horizontal”. Today’s colonialism is far more “vertical”. In a way, today all countries – even the US and UK – are colonies of an Overworld Power Structure: an increasingly centralized financial, political, economic and monetary system so powerful and so all-pervading that, though we may not “see it”, has and needs no “geographical center”. It is, however, everywhere. From the point of view of sovereign nation-states, 21st-century colonialism controls countries “from above”, even if the global controllers’ euphemistic Orwellian “Newspeak” talks of “markets”, “investors”, “the international financial community”, “sovereign debt crisis”, “toxic assets”, IMF, World Bank, WTO, and so forth. Second pause: is a national currency really that important? We could ask the Argentineans, now the Greeks – even the Germans – who have first-hand experience in what it means to suffer monetary meltdowns (when the national currency ceases to exist), but let’s take a look further back. To ancient China, for instance. Po-Chü-I was a Chinese sage, poet and politician born in Taiyuan who lived from 772 to 846AD, rising to the rank of governor of Chung-chou in Szechwan. Regarding national currency, he said something like this: let farmers reap their harvests, let bakers bake bread, let forgers make swords, let traders distribute goods throughout the realm, and let warriors defend our borders, but minting money and creating currency must be the sole monopoly and right of the Governor; for therein lies all power. Lucky for Po-Chü-I, he never attended Harvard or London Business Schools so, untainted by today’s perverse paradigms, he perfectly grasped that whoever controls the currency of the land, controls the activities of the land, and thus controls who gets what, when and where, what shall or shall not be done (whether in war or peace), and thus holds the Destiny of the Realm in his hands. Now, let’s fast forward to the 21st century and ask the $64 million Chinese question: Should Greece revert to the drachma? Our Chinese sage would certainly recommend that! Because when a horrible financial crisis like Greece’s explodes, it’s the Greeks who must decide who should pick up the bill, which requires first understanding who is responsible for the debacle. Are the Greek people really responsible for what is happening to them or was it irresponsible usurer global bankster speculation inside and outside Greece? Since finance is globalized, banksters can, vulture-like, spot their prey – for instance a country with a specific set of “opportunistic market conditions” – home in on it, gobble-up its economic sap, then take-off and disappear, leaving behind a horrible mess that someone else (the Greeks, in this case) must clean up. 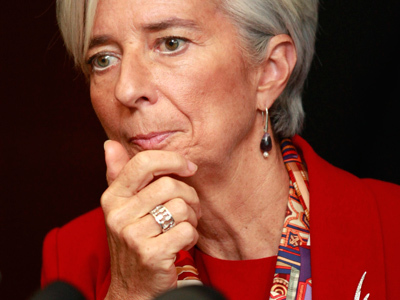 Mme Christine Lagarde – head of the vulture bankster’s IMF watchdog – clearly spelled it out when she insolently told the Greek people they should “pay their taxes”; bankster-talk for “pay your pound of flesh so we can bail-out the banksters!”. That’s what happened to Argentina in 2001 and 2002, where local caretaker governments obeyed the banksters to the extreme that six months before our meltdown, Argentina named David Rockefeller’s (JPMorgan Chase / Trilateral Commission / Council on Foreign Relations) and William Rhodes’s (CitiCorp / Council of Foreign Relations / Americas Society) hand-picked economic hit-man Domingo Cavallo as finance minister to engineer a full-fledged monetary collapse. Cavallo had “invented” a currency board called “convertibilidad” which masked the fact that Argentina had no real currency: for every peso issued there had to be a US dollar in the Central Bank “backing” it. If no dollars came in, no pesos were issued. When vulture “investors” decided to stop the influx of dollars, Cavallo stuck to his “convertibilidad” straightjacket and Argentina’s financial system collapsed into itself. So Greeks: the road to tread seems clear. And you, Spaniards, Portuguese, Irishmen, Italians… Lend me your ears! Because you’re all next! Controlling your own currency is a key component of national sovereignty. It can ensure economic growth in a balanced and socially responsible manner in good times, and if bad times hit and crises explode, a national currency can become a lifeboat ensuring you don’t sink into oblivion. Here, bankster “experts” will lash back saying, “yeah sure, governments print more money and you get inflation and… The sky is falling! The sky is falling! !” Rather, they will recommend you “re-finance” and accept their nice new “mega-loans”, bail-out their own “toxic debts”, and ensure the debt-trap cycle can roll on and on and on. Ask yourself: what’s easier to overcome, higher inflation of your own currency that you can control or…owing unpayable zillions of dollars and euros to international bankers you cannot control? Shrewd as always, the British understood this when the euro was born. Britain is inside the European Union, but outside the euro, keeping instead their pound sterling. Which doesn’t mean they’re monetary crisis-proof, but…should they run into even deeper trouble, the Bank of England can take whatever emergency measures it considers expedient to protect Britain’s national interest. Ask yourself: who do you think will be more sensitive to Britain’s needs in times of trouble, the Bank of England in London or the European Bank in Frankfurt, Germany? Dear Greek friends: take a cue from England and go back to the drachma!! Sort out your mess yourselves, negotiate with the global banksters using the only “language” they understand, which is not the “invisible arm” of the “market”, but the closed fist of national sovereignty attached to that arm. 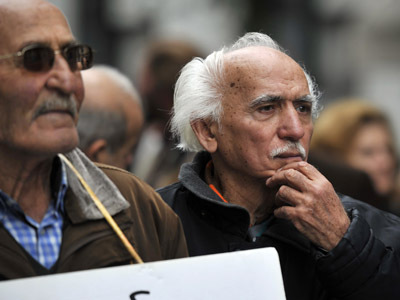 You can give the banksters a bloody nose – and do it “the Greek Way”!! That was Po-Chü-I’s message 13 centuries ago, and the Brits’ today… even if the Western media won’t dare spell it out as clearly as that.